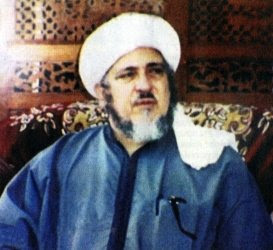 Shaykh al-Imam al-‘Aydarus said, “Sufi Shaykhs have agreed that their affair is built upon little food (consumption), little speech and sleep as well as seclusion from people, discipline of the soul, spiritual retreats (khalwah) and that all objectives and stations only occur under (the guidance) of a gnostic shaykh or (one who is) referred to as Insan al-Kamil (The Perfect Man). So these pillars are as the Shaykh mentioned i.e. little food, sleep, speech and seclusion. These four pillars are the pillars of mujahadah towards Allah ta’ala. As for food, it must (most importantly) be halal and the seeker as well as Muslims in general must avoid the doubtful or syubhah from entering their stomachs much less the forbidden or haram. After this he/she should adhere to the Prophetic etiquettes (adab) that relate to food and drink. These etiquettes will give light to the heart and also they will convert one’s mundane activities into ‘ibadah. After which the seeker should also give concern to the time and quantity of food. The least (or lowest level) in striving in food in terms of quantity, after avoidance of doubtful food is that the person does not allow him/herself to become particularly attached to a certain type of food and thinking about it alot. There is nothing wrong if a person naturally inclines to a certain type of food than another. However, it is blameworthy if the person becomes extremely attached and thinks about it alot to the extent that they’ll even think about it during their ‘ibadah. Therefore, the seeker should have a share in inheriting the Prophetic Way, “that he (the Prophet pbuh) would eat that which he found or was available.” Then the seeker should adhere to Prophetic etiquettes in consuming food and he/she should refrain from what he/she desire even if it were a single morsel. This is the least of striving concerning food.